While there are many reasons to start voice lessons, a stronger instrument isn’t the only thing you’ll leave the room with every week. 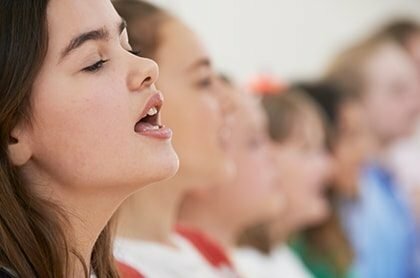 At any age, the added benefits of developing your singing instrument are numerous, but I’ll start you with 5 things you will also be learning while attending your voice lessons. New York City has long been known for its thriving music scene. Some of the biggest bands in the world came out of New York City, and many bands see playing at Madison Square Garden as a career highlight. New York City was once one of the most significant cities in the world of hip-hop. A lot of hip-hop artists were able to rise to prominence after successfully releasing mixtapes to the NYC audience. Now, however, hip-hop doesn’t have the strong presence that it once did. That doesn’t mean that hip-hop has faded away; it is just that other cities are currently a lot more important to hip hop than NYC is. A lot of bands became famous after playing some of the Big Apple’s biggest music clubs. CBGB’s might be the primary example of this; the club was strongly associated with bands like The Ramones. Because of rising rent prices in New York City, a lot of these clubs have had to shut down. Many of the most influential music venues in NYC have had to shut their doors. Many bands set out with the goal of playing these special venues and were never able to reach that goal. A decade or two ago, a lot of musicians felt like they had to head to a city like New York to make it big. For example, the famed artist Bob Dylan left small-town Minnesota behind to make a career for himself in NYC. Thanks to the internet, it isn’t necessary for musicians to leave their home to start a career. Instead, a lot of musicians can kickstart their careers online. There are still a lot of talented people creating music in NYC. However, fewer talented people are motivated to head out to NYC. A lot of people feel like they can accomplish the same kinds of things without having to leave their home. The radio market has changed dramatically since radio first took off. There has been a great deal of consolidation. A handful of companies now controls most of the radio stations in the country. This has made it a lot more difficult for artists to break out on radio. If someone at Clear Channel doesn’t like an artist’s music, they are not going to play it. They are only going to play the things that they enjoy. This has caused a lot of people to stop trying to infiltrate the radio scene. Instead, artists are trying to forge out their careers for themselves. New York City isn’t necessarily the best place for a project like this. Even if you’re an established musician, being in NYC means that you are going to be a small fish in a very big pond. Instead, artists are focused on the markets that they can crack. Some artists are trying to build careers for themselves in cities that are smaller, but still very music-focused, like Nashville. Others are primarily concentrating on winning over an internet audience. The value of being in New York doesn’t want it used to be. A talented band in New York isn’t any more likely to succeed than a talented band in Iowa. In this day and age, both bands have about the same chance of success. A lot of people have focused on how the music scene in NYC has deteriorated over the last few decades. It is important to remember that the music scene has also strengthened in some ways. One of the most positive things in the NYC music scene today is the focus on fundamentals. A lot of young musicians aren’t playing by ear or figuring things out as they go like The Ramones did. 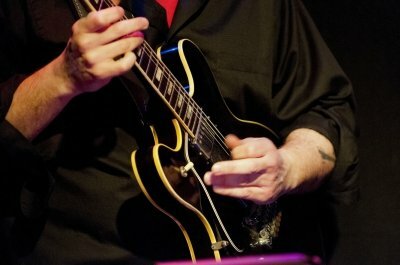 Instead, these musicians are mastering the instruments that they play. A lot of students have received music instruction from a very young age. These students have used that instruction to create impressive and incredible music of their own. It is clear that the NYC music scene has changed dramatically. Some of those changes have been very positive, while others have been fairly negative. While not everyone loves the ways in which New York has changed, people are always going to appreciate the city’s contributions to the music scene. If you can become a success in a city like New York, then you are going to be able to become a success no matter where you are. When I’m on the Upper East Side, I’m surrounded by culture. All of the museums, the park, the old brownstones, it’s no wonder I chose from this neighborhood. Though over the past few years, I’ve started to notice a shift in the establishments in the neighborhood, a tendency toward a more avant-garde styling. Maybe it’s because of the 2nd Avenue subway, or maybe it’s because now the Upper East Side is cheaper than many parts of North Brooklyn, but there’s change in the air, especially with regard to art and music. It makes sense that the Upper East Side is finally getting an influx of artists. New York is the Paris of the 21st century, slightly past its Golden Age, but still a premier place for bohemians; you could draw the analogy that with such an influx of artists, the Upper East Side is like Montmartre of a hundred years ago. In the 1890s, Erik Satie befriended Maurice Ravel and Claude Debussy, two of the greatest Impressionist composers, soon after Satie composed his famous Gymnopedies and Gnossiennes. As you probably know, Impressionism was already an established painting style so that the paintings of Manet and Monet were quickly giving way to the Post-Impressionism of Cezanne, Gauguin, and Van Gogh. Music typically follows behind painting and writing in its move toward new movements so it took another twenty years for these composers to incorporate the Impressionistic style into their work. In the 1910s Satie was enrolled in Vincent d’Indy’s Schola Cantorum de Paris, studying counterpoint in his daily piano lessons. This was not Satie’s last foray into the baroque, either: in 1923, the Beaumont fete, known as the Bal Baroque, used Satie’s music as well as Picasso’s costumes to commemorate the ancien regime and the new restoration of an organ. Satie’s music is also called neoclassicism, for how it draws on order, rhythm and contrapuntal technique. The pared down instrumental forces in this musical style are a reaction against the Romanticism of the 19th century, whose absolute music lacked a musical narrative; while much of the neoclassicists’, such as Stravinsky’s and Satie’s music represented a story. Although classical music is very different today than it was a hundred years ago, we have not lost our ties to tradition. While certain elements are rejected as stodgy, others are borrowed from older eras for being ahead of their time. The Upper East Side is a great place to feel history as well as the advancement of a new era, and that’s why Upper East Side piano lessons are the best in the city right now.